Stick Fast CA (cyanoacrylate) wood finishing and polishing products are specially formulated to work together to put a beautiful, yet durable and long lasting finish on projects. 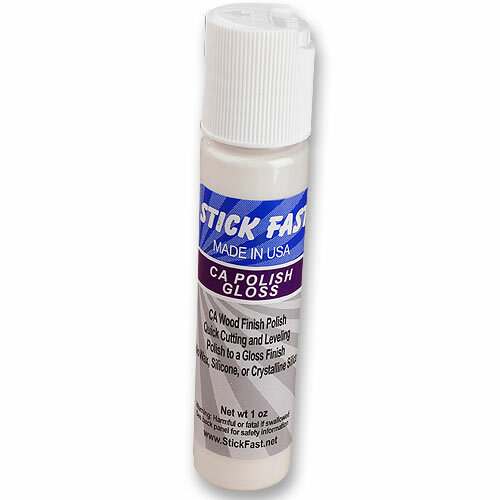 Use Stick Fast's amazingly fast curing properties to take projects from bare wood to a glass smooth finish in 5 minutes. 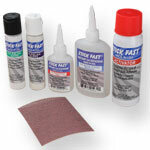 Stick Fast CA Polish - A unique non-wax and non-silicone cutting compound without grit. Satin - A first application polish that quickly levels and polishes. Buffs out to approximately a 1,500 grit satin finish. Gloss - Should be applied after the Satin CA Polish for optimum high gloss results. Use to polish surfaces to a glass like appearance. Can also be used to polish acrylics.